Epistemology, or the theory of knowledge, is concerned with how we know what we do, what justifies us in believing what we do, and what standards of evidence we should use in seeking truths about the world and human experience. This comprehensive book introduces the concepts and theories central for understanding knowledge. I disagree with the general tenor of even the positive reviews of this book. Yes, it is very difficult reading, and Audi makes distinctions upon distinctions. The book is thick with ideas and argumentation, and none of this is helped by the extremely dry style of writing, typical of analytic philosophers. However, having struggled through this book, I have found that the ideas and arguments I learned about made it much easier to approach contemporary literature in epistemology. I already understood the issues quite well and, very importantly, never felt lost. When I was reading Audi, I often wondered why he was laboring over a certain point, but now I see that nothing he wrote was superfluous. 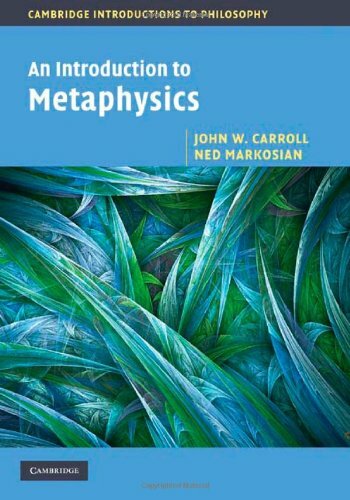 This book offers, chapter by chapter, an analysis of various aspects of our knowledge, beginning with perception, going on to justification, the Gettier problem, internalism vs. externalism, and ending with the epistemology of religious and scientific knowledge before tackling skepticism specifically. Each chapter is very carefully laid out and argued, with different opinions argued for and against, and they defy easy summary. The sole defect of this book is that the ideas and arguments it discusses are rarely explicitly connected with individual philosophers (to be fair, Audi says in the introduction that he will not be doing this). This is a defect if you want to be able to relate the different viewpoints with specific philosophers, but it is such a small one that I don't believe it warrants taking away a star. I sympathize with those who want a quick and dirty intro to epistemology so they can get higher grades in their undergrad classes, or a very general understanding of the "big ideas" in contemporary analytic philosophy. If that's what you want, then this book is not for you. However, if you want a real introduction that will leave you comfortable with the field the moment you begin reading other literature, then this book is wonderful, especially for autodictats. Audi has a reputation as one of the best epistemologists working today, and this book is nothing if not thorough. If there is an angle to view, if there is a slice to be made, Audi views it or makes it. Also, I approve of his approach: He stakes out a claim and tries to support it while meticulously showing competing viewpoints and their rationales. This is superior to the agnostic or relativist position some other philosophy primers take, where the author's attempt at an unbiased approach leaves the reader unsure as to what the right answer might be, or whether there is a right answer at all. Audi's approach allows the reader to agree or disagree with his stand, and helps the reader to develop and confirm his own viewpoint. So much for the positive. Audi is very difficult to read. His writing style is at the same time effusive and dense; he makes intricate (I might even say unnecessary) distinctions on every topic and subtopic, and does so in a way that you have to pay very close attention to the precise wording he uses to have a chance of understanding the divisions he makes. He either needs to make fewer categorical distinctions, or take the time to explain them more clearly. I'm an undergraduate senior in Philosophy, and if I had been reading this book on my own instead of for a class with a professor to help interpret it for me, I would have had no chance of understanding much of it without outside reading--which a primer such as this is not supposed to need. There were times even my professor wasn't quite sure what Audi was trying to say. I also disagree with the way he attacks the subject matter. He deals with skepticism last, for one, which I think needs to be addressed (at least to some extent) first. More importantly, he goes through the book trying to analyze knowledge by appealing to a kind of common-sense generic understanding of it, and only toward the end actually tackles a definition of knowledge. Never does he even address the question of what is the ~nature~ of knowledge, whether it is something independent of us, or merely an internal concept. Perhaps other people's brains work this way, but I need to start by asking what a thing is, and trying to find a definition of it, and only then trying to analyze what it does and how it works. Audi takes the exact reverse approach. 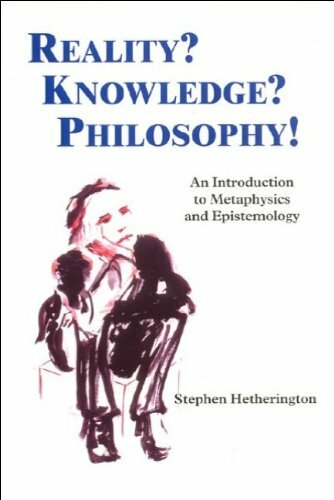 I recommend this book to someone already versed in Epistemology that wishes to expand their understanding of the field, but I do ~not~ recommend it to a beginner (even an intelligent and well-educated beginner) as an introduction to Epistemology. I read this book very carefully, covering only about four pages per day. Admittedly I learned a lot from struggling through it. For example, what is called prima facie knowledge: that is knowledge that can be defeated; it is not infallible. Almost all our knowledge is of this quality. There is also an excellent discussion of the difference between a posteriori and a priori, between analytic and synthetic. Also dealt with in detail is the subject of inference, and the difference between a deductive inference and an inductive one. The topic of justification and justified belief is also considered in great detail, and the careful reader will gain a thorough understanding of what justification means. The penultimate chapter on scientific, moral, and spiritual knowledge is first rate. The book is geared toward the current state of the art of this subject, and there is relatively little historical perspective. Audi actually is doing philosophy here, and not writing ABOUT it. That is the book's strength, and also its weakness. The other reviewers' criticism that there is virtually no discussion of the historical evolution of this branch of philosophy is a valid critique. There is in fact little mention of any philosophers at all, except for a very few contemporary ones, such as Plantinga, Quine, Davidson, mentioned not in the main text but in the footnotes. There is a lot of hair-splitting analysis going on in this text as you might expect. Many paragraphs are spent examining all the minute wrinkles of a particular argument, only to cast it aside several pages later. While it is instructive to see a first-rate philosopher at work, I do really wish Audi had injected a little more historical background into this work. I have subtracted one star for this deficiency. However, it is a minor flaw in an otherwise great book. Audi's writing is mostly a pleasure to read; he is thorough, elegant, precise. He does not repeat himself, or belabor a point repetitiously. He is an excellent teacher. As far as the book itself is concerned, there are very few typos (I counted two), the typography is excellent, the binding only OK (referring to the paperback version). The book is marketed as aContemporary Introduction to Epistemology, but it is more a book for those who are already conversant in the subject from an earlier course or book. On the whole, it is a commendable work for those needing no historical background. Graduate students in philosophy or the sciences should greatly benefit from this book. For undergrads who tackle this book hoping to gain some perspective on the entire subject and its illustrious history, it will probably be a disappointment. However, anyone who reads the book carefully will learn a lot. In fact, it may even change some of your beliefs. It is a book which stimulates the mind, and even opens up new possibilities. I tried to read this book, I really did. I've read a fair amount of epistemology, and I'm reasonably familiar with the issues and positions that characterize the field. And I purchased the book, so I had a financial investment. But no. I can read Kant, and enjoy doing it, but I couldn't read this. What we have here is a confusingly-written compendium of the terminological quagmire into which modern epistemology has fallen, an elaboration that has yielded very, very little. 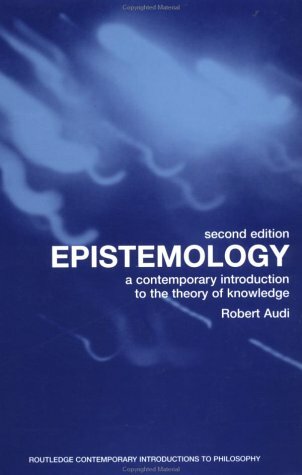 It's no wonder that scientists and others who actually work and succeed with the things of the world ignore the whole epistemological enterprise as irrelevant.Audi makes it all worse by omitting the historical context and development of the field, so there is little or no reference to what was at actually at issue to make the questions worth asking. What gave rise to epistemology and made any of it interesting was, of course, the challenge of skepticism; but that's stuck at the end, by which time the poor reader is long past caring. Epistemology itself looks more and more like a dead end, at least in the way it's being pursued; maybe it's time to begin again, only starting from the ontology end.However that may be, the history of epistemological debate is fascinating and involves many very challenging and interesting questions, especially when those are considered in historical sequence against the background of the times in which they were raised. 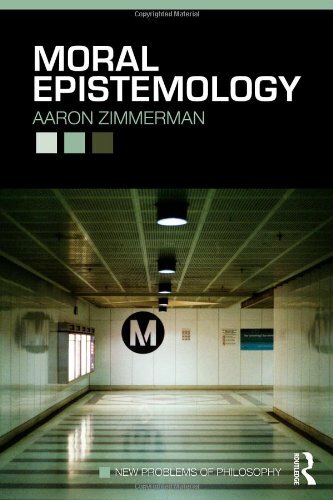 There are many excellent introductions to epistemology available that tell that story. This is not one of them. This book is an excellent and relatively unpartisan account of the classical views of knowledge, where it comes from, and how it is justified.It is also very strong on explaining the reasoning behind these views. It is also extremely frustrating if you come to this subject from a cognitive neuroscience or psychology background hoping to sort out the relationship of scientific theories of brain and mind and the classic epistemological question.I come to this book not as a philosophy student but as an interested outsider who is accustomed to interdisciplinary accounts relying on science to some extent to help address philosophical questions, and vice versa.With that expectation, this book just does not do a very good job clarifying things in terms of modern science, or even discussing the relationship of classical epistemology with science. Much better books on modern epistemology that at discuss the relationship of classical epistemological questions and testable scientific theories include:"Inquiry and Evidence" by Susan Haack, and Alvin Goldman's work.Unfortunately, those don't serve as well as an introduction to the reasoning behind the epistemological questions, and they require some background in the basics to appreciate.Michael Williams' "Problems of Knowledge" is another good introduction that some will find a little more accessible that Audi. This book is great for an overview of the different issues that are dealt with in the study of knowledge.It takes a great sampling of those philosophers that have made a lot of contributions to the field.My only issue with the text is that it only seems to wet your appetite for the material before they move on to the next topic. Huemer's anthology is intended to complement Robert Audi's introduction to the epistemology in the Routledge Contemporary Introductions to Philosophy series.And, as one would expect, it is an ideal text to be read in conjunction with Audi's book.Almost all the subjects discussed in that book--the exceptions being moral and religious knowledge--are given corresponding sections in this anthology.Nevertheless, I see no reason why this book needs to be used in conjunction with the other book.It is a perfectly fine selection of readings for a person who wants a picture of some of the main areas of debate in epistemology.For those who may be coming to the book without the background provided by reading Audi's introductory text, Huemer provides a short introduction to the subject matter of each chapter.And it seems he has chosen historical selections that help the reader to understand the nature of the problems being discussed in each of the sections and why someone might think those problems are important ones. A signal virtue of this book is that it is helpful in introducing both contemporary and historical work in epistemology.Is it somewhat paradoxical that almost half of a volume in a series called Routledge Contemporary Readings in Philosophy should consist of historical papers?Somewhat so, perhaps, but it isn't all that surprising in a philosophy text.For, as any student of philosophy can tell you, the history of philosophy isn't just history; it's also crucial for understanding the nature of the problems with which philosophers are dealing and the possible solutions that can be offered in response to those problems.And this volume is quite good at introducing the history of philosophical thought about the nature, structure, and varieties of human knowledge.Its coverage of the history of the subject in modern philosophy is especially good, as it includes several selections from Hume and from Reid, along with selections from Locke, Berkeley, Kant.It also provides the reader with a introduction to the history of epistemological thought in the twentieth century, as it includes work by important figures from the earlier part of the century--Russell, Moore, and Ayer--and work by important mid-century figures, like Quine, Austin, and Goodman.Huemer also throws in a few selections from the ancients. 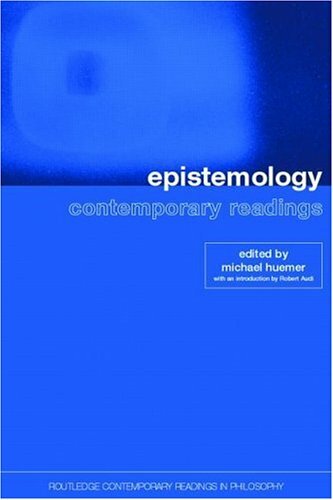 Though this volume is not edited by the author of the Routledge Contemporary Introductions to Philosophy, it is intended as a companion volume to that book.It takes its form Audi's introduction, in that it shifts the usual focus in introducing epistemology to the beginning student of the subject.Instead of beginning with skeptical challenges and with general issues about the nature and structure of knowledge, this volume, like Audi's introduction, begins by focusing on more particular forms of knowledge and the ways in which we can acquire them.Huemer has included sections on each of the following types of knowledge:knowledge acquired through perception, through memory, through the testimony of others, through reason (i.e. and a priori knowledge), and through inductive inferences.Most of the historical material is in these sections of the anthology--but all of these sections include at least a couple papers by contemporary figures as well. The latter half of the volume concerns the general issues about the nature and structure of knowledge on which contemporary epistemologists tend to focus their research.Here the discussion is on the usual topics:foundationalism vs. coherentism, skepticism, the analysis of knowledge.These sections tend to include more readings than the sections discussed above, and thus, even though only half the anthology is concerned with these general issues, it still provides an excellent introduction to them.The reader should note that there isn't any separate section on internalist vs. externalist accounts of knowledge, though this topic comes up in both the section on skepticism and the section on the analysis of knowledge. Who would have thought that an Ayatollah could make some of the hardest theological-philosophical stuff in Islam -- Illuminationism -- so easy to understand. The best part is that there is a constant referencing back to Plato and Aristotle so someone who is primarily educated in Western philosophy can easily grasp the differences between the different streams of knowledge (Islamic v. Greek). One thing that is a little tricky is that the book makes it seem like this is the only kind of "Islamic" philosophy there is. That is probably not the case. 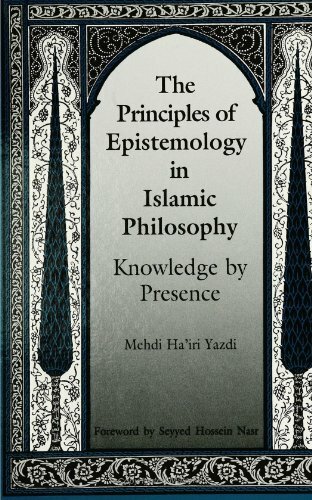 I had the great privilege of studying privately with the author ijtahid Dr. Mehdi Hairi Yazdi, to my knowledge the only person to master Islamic philosophy in the Iranian medressah system as well as European philosophy, gaining a Ph.d from the University of Toronto.This gave him an unrivalled perspective on a wide variety of philosophical questions. While this book was written on the topic of epistemology, the question of how we know what we know, it is, in fact, much broader.Dr. Hairi gives a very useful introduction to Islamic philosophy up to the present day.Most European philosophers and historians of philosophy are unaware of the remarkable developments of Islamic philosophy after Ibn Sina (Avicenna) and Ibn Rushd (Averroes).One can easily get the impression in European sources that Islamic philosophy ceased after these two medieval figures.This could not be further from the truth. Dr. Hairi explains the work of Al-Farabi in reconciling Plato and Aristotle's views of knowledge, still considered to be in opposition in European philosophy.He discusses the Hikmat al Ishraq or Wisdom of Illumination of Suhrawardi.His main emphasis, however, is knowledge as seen through the school of Islamic existentialism of Sadr din al Shirazi (Mulla Sadra). Dr. Hairi not only fully explains the key concept of knowledge by presence, but also shows how this principle is reflected through the mystic science of irfan and the language of the Sufis, the mystic orders of Islam. A reasonably well balanced textbook containing 17 articles and an introduction from the editor. Editors have done a good job, as most the authors of articles have actually read other articles and thus they actually complement each other -- thing rarely seen in this kind of publications. Of course some articles are better than others, but most of them stay rather well on the subject and are well written. Traditional problems of epistemology are reasonably well discussed and problems of scepticism are well covered. Some of the current trends are not so throug and though dealt with, but that is more than acceptable when it comes to a rather general textbook. There are 4 chapters on current trends including the required chapter on feminist epistemology (I presume it is not possible, at least anymore, to write a textbook without saying something about feminist viewpoint too). Some basic information about epistemology is required. Although there is an introcution, it's only a summary of contents of chapters, so you should at least have some idea what scepticism, externalism, internalism and other related philosophical jargon means. That said, I think this book is suitable for a philosophy student at undergraduate or graduate level. What is epistemology or "the theory of knowledge?" What is it really about? Why does it matter? What makes theorizing about knowledge "philosophical?" Why do some philosophers argue that epistemology--perhaps even philosophy itself--is dead? Michael Williams' "Problems of Knowledge" (PoK) serves as an adequate, if somewhat skewed, introduction to epistemology. This is because while it ostensibly gives competing theories within the field the light of day, the book is primarily a platform for Williams' own theoretical notion: a theory of knowledge and justification which is a variant of "contextualism". 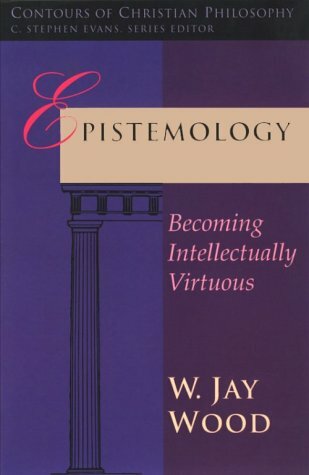 Williams begins by defining the field of epistemology in a fluid sort of way - epistemology is the domain of inquiry focused on solving problems relating to knowledge: what it is, whether it is desirable, whether there are different types of it or not, how we can get more of it, and, most importantly, how various forms of philosophical skepticism threaten to undermine it. Williams then proceeds to outline the "standard analysis," or the commonly-accepted archetype for knowledge: J-T-B (Justified True Belief). JTB is important because it is the basic formula that competing theories of knowledge have been tinkering with for thousands of years. Speaking of competing theories, the next section of PoK explicates upon several of them, including non-justificational theories (justification is not important to knowledge; something simpler, like a causal relation, is), the purely externalist theory (justification resides entirely outside of the individual, in something like the reliability of a process used to obtain a belief), and Rationalist vs. Empiricist conceptions of knowledge (with Rationalists believing knowledge is obtainable through reason, and Empiricists convinced knowledge is only possible via empirical verification). Unfortunately, this taxonomy feels like a whirlwind tour rather than a proper, fully-fledged introduction to these ideas, a problem to which I will return in a moment. The next section of PoK is probably the most helpful: philosophical skepticism is parsimoniously recast into two schools, based upon their modes of argumentation: the "Agrippan" school, which has its roots in ancient times, and the "Cartesian" school, which began with the arguments of Descarte. In a nutshell, Agrippan skepticism holds that we can never justify our beliefs without falling into an infinite regress, always justifying a belief with another belief, ad infinitum, while Cartesian skepticism holds that we can never have knowledge of the outside world, since our perceptions are in principle subject to complete manipulation. Epistemology's most famous responses to these forms of skepticism are then introduced: foundationalism and coherentism. Helpfully, more sophisticated variants of each theory are discussed in detail, rather than the over-simplistic, vulgar versions which are easily defused. An example might be helpful. If you are attempting to prosecute a man for murder in the court of law, a relevant set of defeaters will naturally present themselves to you, given the context. They will relate to the man's alibi, or eyewitness testimony that the man was far from the scene of the crime, or some other such potentiality. Further, the specific strategies needed to defend your knowledge claim are determined by the specific character of the defeaters: in this case, you would deploy a mix of evidentialim (being in possession of sufficient evidence to prosecute the man), and reliabilism (verifying the reliability of your eyewitness testimony). The notion that aliens abducted the man, cloned him, and used the clone to conduct the murder, thus framing the man, will not present itself as a relevant defeater. The base of presuppositions shared by all present in the court, the impossibility of disproving such a notion, and the dearth of evidence for aliens in light of the body of evidence produced by the sciences, all preclude the possibility of having to tackle this far-fetched idea. It's important to note that this is not relativism: because of the "situational" component of context, Williams' contextualism is anchored in the real world. Justification is not merely "internal," or inside of a person's mind. Further, knowledge is held to fallible: we cannot be certain that the alien hypothesis isn't the truth, and thus the possibility of error always exists. The idea is really rather elegant and, as a piece of theoretical work, aesthetically pleasing. It resists the typical disposition of philosophers to generalize and create absolute, inerrable concepts which are supposed to stand the test of time, forever (reality tends to consist of contingent truths). There are problems with it, however. Firstly, as mentioned earlier, alternatives are not presented in sufficient complexity. Williams asserts, for example, that pure reliabilism ignores the "epistemic responsibility" component of justification, makes a quick argument by example, and moves on. (p. 34) The example itself did not convince me that a personal justification component is necessary for knowledge (do animals and children not have knowledge of their environment? I would assert that they do). The primary problem with PoK, however (as far as I am able to discern), is embedded within the actual theory itself. On page 174, Williams cites Wilfrid Sellars' conception of non-inferential knowledge: the idea that observation reports are non-inferential, and thus offer us evidence of the reliability of our senses, which we then take to be perceiving the world accurately. As I understand it, the point is that people can learn to make these observation reports on cue, as a result of training. These reports are thus a source of non-inferential knowledge, which open the gate for developing proper, inferred knowledge from a wide range of facts, learned simultaneously. This is an interesting notion, as well as an incorrect one. Sellars originally wrote his words in 1957, before fields of inquiry like neuroscience (or, more generally, cognitive science) even existed. Modern insights from these fields allow us to understand that our brains are constantly making inferences and judgments under the hood of consciousness. That appears to be why we are so good at navigating our environment: most inferences are automated for maximal efficiency. The point is, the "observational reports" to which Sellars (and Williams) refer are in fact still subject to inference - no matter how automatic they appear. Thus, the possibility that our perceptions are being manipulated, and thus our inferences (conscious or not) are not indicative of the world, remains. The spectre of Cartesian skepticism remains. Thus, it appears that Williams' contextualism avoids one all-too-common trap of philosophical inquiry - trying to create an inerrable concept for all time - while stepping into another: failing to interface with the sciences in even the most basic fashion. In short, "Problems of Knowledge" is better understood as an essential component of a reading list on contextualist theories of justification and knowledge. In that respect, it is most deserving of a read. 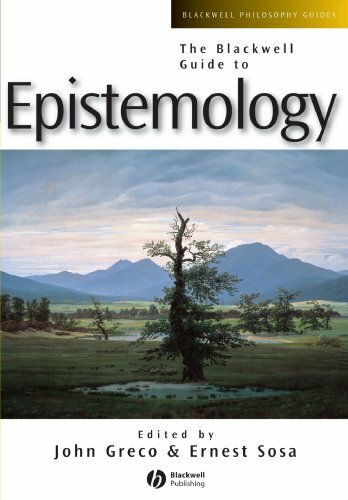 While it also technically provides an overview of epistemology, there is a better source available for that: the Stanford Encyclopedia of Philosophy. SEP is free, available online, and the quality of the entries is unparalleled. This is a CRITICAL introduction, meaning that Williams argues for his own views (but he is fair to others).I am familiar with Williams's other work (e.g., Unnatural Doubts) and I thought this might be a good way to fill the gaps in my knowledge of epistemology while at the same time being an interesting take on the issues from a major figure in the field.Not only did Williams deliver on presenting areas with which I am less familiar, but he clarified his version of contextualism and idea of "epistemological realism. "The book has been valuable for my own thinking in that I now find contextualist responses to skepticism less convincing than I had initially thought (i.e., one need not agree with Williams to get something out of the book).Lastly, while this is an introduction that anyone could read, some background in epistemology is going to help.In fact, those with a background in epistemology will benefit greatly from this critical introduction. Williams seems completely unaware of the work of William Warren Bartley and David Miller, though he does admit that Popper's epistemology is a big improvement over what came before it.In Williams' view, however, Popper is ultimately wrong about skepticism because he doesn't realize you can do X.On closer examination X turns out to be a very jargon-riddled way of saying you can drop the requirement that knowledge be justified and run on pure criticism, which is exactly what Popper, Bartley, and Miller said a long time ago.The only real difference is that Popper, Bartley, and Miller say this amounts to accepting the skeptical arguments and taking them seriously, whereas Williams says it amounts to beating them, in which case we are still entitled to say that our knowledge is justified.The jargon allows Williams to obfuscate the fact that he's inconsistent, i.e., he's actually dropping the demand for justification but then claiming that he nevertheless has it.Other than that, the book is fine -- except I cannot figure out why Williams thinks that any form of externalism gives us a view of knowledge without justification.It doesn't.It just replaces justification inside the mind with justification outside the mind. If you really want to understand how to cope with skepticism, read Popper, Bartley, and especially the two books by David Miller. I believe Problems of knowledge is a very biased book, because from the very beginning Williams has the goal of selling you his version of contextualism. His treatment of coherentism, foundationalism, and other epistemological theories is geared only to set up his own views of which he overly generalizes in order to hide many of his own shortcomings. His argument for why contextualism isn't a form of relativism is especially bad. However, it is not as terrible of a book as my first review implied. Chapter five on Aggripan skepticism is very good, and the book gives an excellent overall summation of the history of epistemology. In regards to writing style, I find that the book is very dense and dull, and Williams' sentences are often not very clear. To make matters worse, it is also a very difficult book, and one that I would not suggest to someone not highly interested and trained in philosophy. With nearly 300 entries on key concepts, review essays on central issues, and self-profiles by leading scholars, this companion is the most comprehensive and up-to-date single volume reference guide to epistemology. Best epistemology reference book I have ever seen.Tons of important concepts explained clearly and succinctly. If there were a higher rating than 5 stars this book deserves it. The key to any philosopher's system is his vocabulary. 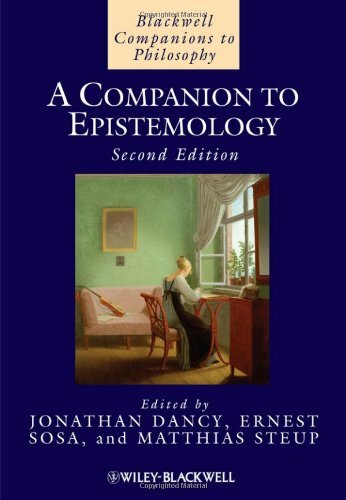 Dancy not only clearly explains the meaning of many philosophers key ideas as they have developed throughout history but compares these ideas to related ones of other philosophers. A great way to learn the key thoughts of the past and present and bring the novice up to date. Cross reference are excellent for futher development as is the bibliography at the end of the articles. This book is a self-help course in philosophy in itself in the area of epistemology. Looking forward to additional volumes on other areas. This is yet another excellent "Companion" book in the Blackwell Series. The text is an A to Z companion to the study of how we know what we know (epistemology). It covers ideas of individual philosophers, movements, terms, and genres. 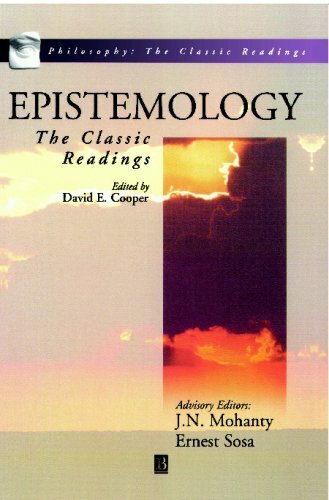 For a reference work on the study of epistemology I know of no better text. Moreover, this text is a wonderful tool for the student and the professional alike. Some of the more popular contributors include, William Alston, Robert Audi, A.C. Grayling, Marilyn McCord Adams, and Alvin Plantinga, along with many others. The book also has a nice index, and bibliography at the end of many of the entries. Therefore, this text not only gives the reader a great wealth of info in the area at hand, but it also helps the reader branch out into other resources to further aid in study (via good bibliography). If you are a serious student of philosophy or even a "dabbler" in philosophy, this is a text you simply cannot be without. With 250 entries from A to Z written by some of the world's leading philosophers, this encyclopedic Companion from Blackwell is an indispensible aid to students of philosophy in or out of the classroom. Ifyou plan to do any reading in epistemology, an investment in this volumewill be handsomely repaid. Epistemology, or “the theory of knowledge,” is concerned with how we know what we know, what justifies us in believing what we believe, and what standards of evidence we should use in seeking truths about the world and human experience. 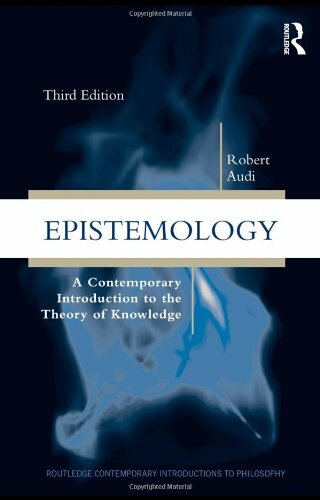 This comprehensive introduction to the field of epistemology explains the concepts and theories central to understanding knowledge. Along with covering the traditional topics of the discipline in detail, Epistemology explores emerging areas of research. The third edition features new sections on such topics as the nature of intuition, the skeptical challenge of rational disagreement, and “the value problem” – the range of questions concerning why knowledge and justified true belief have value beyond that of merely true belief. 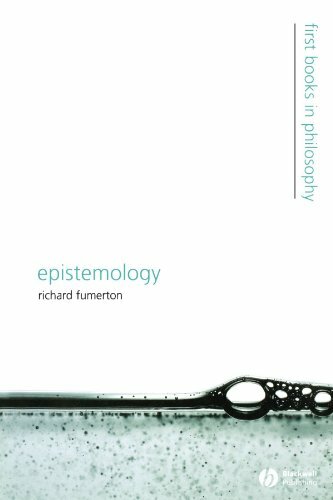 Updated and expanded, Epistemology remains a superb introduction to one of the most fundamental fields of philosophy. * an updated list of key literature and annotated bibliography. How do we know right from wrong? Do we even have moral knowledge? Moral epistemology studies these and related questions about our understanding of virtue and vice. It is one of philosophy’s perennial problems, reaching back to Plato, Aristotle, Aquinas, Locke, Hume and Kant, and has recently been the subject of intense debate as a result of findings in developmental and social psychology. criticisms of those who would reduce moral knowledge to value-neutral knowledge or attempt to replace moral belief with emotion. Throughout the book Zimmerman argues that our belief in moral knowledge can survive sceptical challenges. He also draws on a rich range of examples from Plato’s Meno and Dickens’ David Copperfield to Bernard Madoff and Saddam Hussein. Including chapter summaries and annotated further reading at the end of each chapter, Moral Epistemology is essential reading for all students of ethics, epistemology and moral psychology. This is a deep subject.It is a great book but a hard read.You have to really think about what you are reading.The book was in excellent shape and the print is easy on the eyes. This relatively compact volume offers everything one could want from an introductory text on epistemology.Wood highlights the importance of exploring how we think and process intellectual propositions, surveys the major schools of thought, discusses the strengths and weaknesses of each and offers his own views throughout.While the language of this book is sometimes quite technical, for the most part it maintains a readable style.This will be a satisfactory treatment for those with a casual interest in the subject; for those with a deeper interest it will lay a solid foundation for further reading (along these lines, Wood includes an extensive bibliogprahy for additional resources).Highly recommended as a beginning point for epistemological studies. Epistemology, of course, is the term used to denote how we think.Epistemology seeks to answer the question, "How do we know what we know? "Some had said that it is a question for those who have a lot of time on their hands to ponder such thoughts.Nonetheless, ideas do become reality and often what we think becomes who we are.This is a biblical idea as seen in Philippians 4:8 or Jesus' words in Matthew 12:33-37. In this work, W. Jay Wood seeks to provide a Christian view of epistemology.He seeks to take a subject often given to humanistic thinking and he seeks to add Christian thinking into the subject.He does a fine job of presenting arguments first for how we know what we know and then moving toward a biblical world view. Overall I found the book to be difficult reading (I try to read at night when I have less distractions but this book put me to sleep quickly).It's not Woods style, its the subject.Most people, including myself, don't care how we know what we know.We want to know how to take what we know and use it in our daily lives (Luke 11:21; James 1:21-25).I also would like to have seen Wood use more Scripture.Obviously, as a disciple of Jesus I am to renew my mind after God's Word (Romans 12:1-2) whereas I felt that Woods spent too much time on contrasting humanistic philosophy with Christian philosophy.The Bible alone speaks the truth of God (2 Timothy 3:16-17; 2 Peter 1:19-21) and what we need in this day is not more knowledge but more obedience to the Word of God. This book is aimed at undergraduates, but it offers an important and innovativce perspective that would interest many others.Epistemologists are usually concerned with the conditions that justify believing something is true.Wood asks a different, perhaps even more interesting question: what qualities would a person have to have in order to function successfully as a knower throughout life?Following Aristotle, these could be called "intellectual virtues"--qualities of mind that enhance our performance as knowers.This approach not only identifies a fresh set of important issues in the philosophical reflection on knowing but pave the way to consider other important topics, such as the relation of emotions to knowing and the relation of knowing to religious faith.Wood does not neglect traditional questions and includes a useful survey of the basic epistemological theories.But the interest of his book is that he sets those issues in a wider context that reconnects epistemology to ethics in a very interesting and thought-provoking way. Some of philosophy's most intriguing questions about reality and knowledge are introduced in this book. It outlines possible answers to puzzling questions such as: what kind of thing are you? What -- if anything -- can you know? Over the centuries, philosophers have made many attempts to answer such questions and contemporary philosophers continue to seek solutions. This book explains many of those attempts in a clear and lively way, encouraging questioning and independent thought. It also links questions about reality and knowledge to questions about morality. The many concepts explained in the book include: personal identity, free will and determinism, evil and God, universals and essences, life and meaning, death and harm, truth and facts, belief and evidence, knowledge, the senses and pure reason, sceptical doubts. Throughout, philosophy is shown to be adventurous, intellectually significant and personally deep. physical probability: propensities and objective chances. 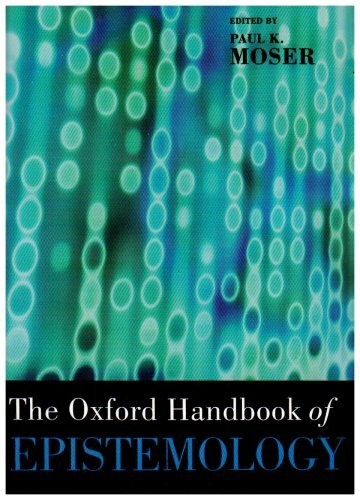 The book features a useful primer on the mathematics of probability, and each section includes an introduction by the editor, as well as a guide to further reading. 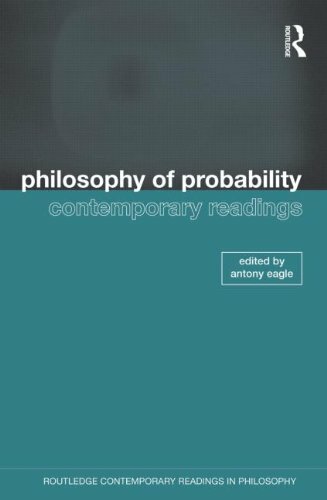 A broad-ranging and highly accessible exploration of the subject, Philosophy of Probability is ideal for any student of formal epistemology, philosophy of science, metaphysics, or philosophy of mathematics. 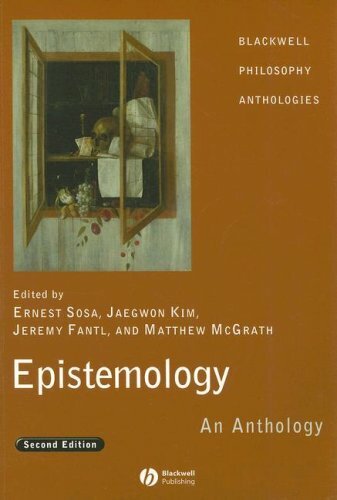 Epistemology is an accessible and indispensable volume for undergraduates studying philosophy. This book lays out the essential positions and critical arguments in contemporary analytic epistemology.Fumerton is recognized as an expert in epistemology, and this book reveals the virtues of his expertise.First, the book is geared for beginners, not experts, and I think this is the best book available to a beginner who is interested in becoming acquainted with the basics.Fumerton writes clearly and concisely.He explains key terminology, and he often illustrates what he is discussing in order to make his point clear.If you find yourself lost in a discusion of epistemic terms, reading this book will bring you up to date.Even though this book is written in a way that is accessible to the non-philosopher, it will still give the reader an intellectual workout. A second strength of this book is the rigor of criticism levelled against external theories of justification.Externalism is widely accepted in contemporary philosophy, and this book offers a healthy corrective to that trend.The criticsms raised in this book to externalism highlight some of the devastating problems that should lead philosophers to reconsider working out an internalist theory of justification.It is fair to say that Fumerton also deals with the most important criticisms of internalism, and that he isn't giving any position a "free ride." A final positive point I wish to mention about this book is that it offers a summary of some of Fumerton's own advanced research, especially in the final chapter of this book.Reading through the final chapter of this book before reading Fumerton's book, _Metaepistemology and Skepticism_, might make things easier on the reader.Fumerton's work on the topics of metaepistemology and skepticism is very good, and it is nice to see an overview of his work in the final chapter.Even as a graduate student, I find myself consulting this introductory work because it presents some of the most difficult concepts of epistemology in a way that is easy to understand. Relativism, the position that things are for each as they seem to each, was first formulated in Western philosophy by Protagoras, the fifth-century BC Greek orator and teacher. Mi-Kyoung Lee examines the challenge to the possibility of expert knowledge posed by Protagoras, together with responses by the three most important philosophers of the next generation, Plato, Aristotle, and Democritus. In his book Truth,Protagoras made vivid use of two provocative but imperfectly spelled out ideas: first, that we are all 'measures' of the truth and that we are each already capable of determining how things are for ourselves, since the senses are our best and most credible guides to the truth; second, given that things appear differently to different people, there is no basis on which to decide that one appearance is true rather than the other. Plato developed these ideas into a more fully worked-out theory, which he then subjected to refutation in the Theaetetus. 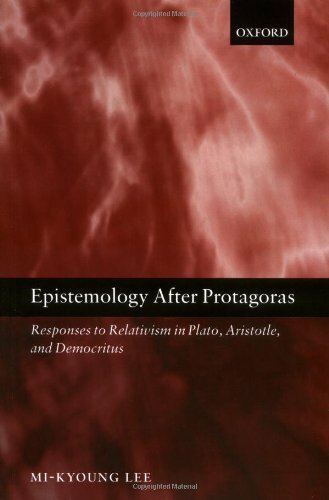 In his MetaphysicsAristotle argued that Protagoras' ideas led to scepticism. And finally Democritus incorporated modified Protagorean ideas and arguments into his theory of knowledge and perception. Eleven pairs of newly commissioned essays face off on opposite sides of fundamental problems in current theories of knowledge. 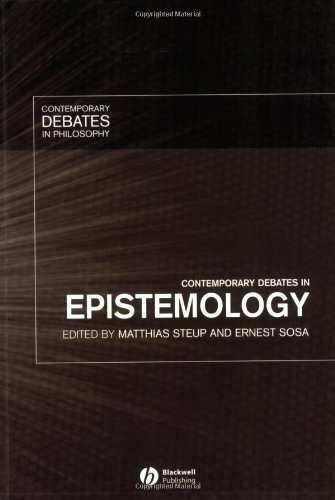 Brings together fresh debates on eleven of the most controversial issues in epistemology. Questions addressed include: Is knowledge contextual? Can skepticism be refuted? Can beliefs be justified through coherence alone? Is justified belief responsible belief? Will serve as an accessible introduction to the major topics in contemporary epistemology, whilst also capturing the imagination of professional philosophers. There is a lot in this book so I'm going to focus on what I take to be the most important topics. I'll start with Jonathan Vogel's attempt to refute skepticism. He does this using inference to the best explanation - showing that the most reasonable inference is that the world is not the illusion of an evil demon or that we are not a brain in a vat. The gist of his argument is that an illusory world is isomorphic to the real world in all ways. Thus there is no evidence that can be used to refute skepticism. Whatever happens in the real world could also be programmed into the supercomputer that is connected the brain in a vat. However, there is an underlying difference. In the real world certain properties are necessary features of reality. But in the brain in a vat world they are merely empirical regularities. Consider the fact that two objects can't occupy the same location at the same time. That is a necessary feature of our universe, but merely an artifact of programming in the brain in a vat hypothesis. You could just as easily program the brain in vat to display a "spirit world" where objects could move through each other. Richard Fumerton makes two important arguments against Vogel. The first is that inference to the best explanation is really just a form of inductive logic. And since Hume's problem of induction has never been solved, Vogel's argument is still refuted by a more "exotic" species of skepticism. I'm not sure if inference to the best explanation really is just inductive logic but there is a lively debate on the subject (Fumerton does not develop the argument). Fumerton's second objection is that Vogel's argument does not work against Bishop Berkeley's form of skepticism about the external world. One other point that Fumerton did not make, but which I find compelling, is that there are no necessary features about our universe. E.g. the fact that two objects can't occupy the same location at the same time is because of the pauli exclusion principle and that is a contingent property. There is a possible world (alternate universe) where there is no pauli exclusion principle. In that sense Vogel's argument seems to me to be mistaken. Are universe's laws are themselves simply empirical regularities. The most interesting debate was between Laurence BonJour and Michael Devitt about the possibility of a priori knowledge. This is important because a foundationalist theory typically depends on a priori knowledge to form basic beliefs about logic and math. That includes things like the law of contradiction and 2 + 2 = 4. But the discussion led into a really interesting debate about the coherence theory versus modest foundationalism. A common argument against the coherence theory is that it is circular. Belief A is based on belief B which is based on belief C, which in turn is based on belief A. Devitt invokes Braithwaite who distinguished between rule-circularity and premise circularity. The example I just gave is premise-circularity and that is indeed a logical fallacy. The conclusion is used as a premise in the argument that reached that conclusion. However, Devitt points out that the coherence theory relies on creating a web of interlocking beliefs. The strength of this interlocking web determines the overall level of justification. That's rule-circularity and it is acceptable. What is rule circularity? That means that the conclusion of the argument is also one of the rules (but not the premises) used to move one step to another in the argument and ultimately reach the conclusion. That may sound fishy but consider deductive logic. Deductive logic is also rule circular. You can prove that logic is sound, but you need to rely on logic in order to do the proof. So if deductive logic is rule-circular but still ok, then so is the coherence theory. BonJour objects that rule circularity does not give a good reason to believe that the coherence theory is true - that applying the rule of "holistic coherence" does not give us a reason to think that the rule of holistic coherence is true. Perhaps, but I think the burden falls on him to make that case since rule circularity works pretty well for deductive and inductive logic. Maybe an additional step is needed beyond mere rule circularity and deductive and inductive logic do not meet this step. But that is not developed so I'd give the exchange to Devitt. I was left frustrated that this point wasn't drawn out more. On the other hand, Devitt's criticism of BonJour's foundationalism is wide of the mark. Foundationalism solves the regress problem with basic beliefs, but that runs into the problem of the criterion. Suppose we want to sort basic beliefs into two piles. The first is those that are true (or justified) and the second is those that are false (or unjustified). How do you do this? One way is to create a rule such as 'beliefs formed on the basis of sense-perception are prima facie justified'. But why believe that rule? Skeptics can easily ask what evidence we have for the rule, and we are back into the infinite regress. BonJour instead subscribes to atomism, or particularism. That means that we have some concrete forms of knowledge that we know a priori (this is where the a priori part comes into play). Those are our basic beliefs. Then it is the task of philosophers to create a rule that shows how we gain this concrete knowledge. This defeats the infinite regress. Or does it? Devitt questions how we can gain this a priori knowledge. Why is that true? BonJour argues that each individual piece a priori knowledge is atomic, but that doesn't really answer Devitt's question about the validity of a priori reasoning. So we are left with BonJour pointing to the many examples such as knowing that triangles have three sides and that 2 + 2 = 4 and Devitt arguing that it is obscure. I have to side with Devitt once again. Although I personally reject Devitt's naturalism, it does give a good account on an evolutionary basis of how we would have what seemingly appears to be a priori knowledge but on the empirical basis of evolution over time. BonJour does not do a good job of defending a priori beliefs except by pointing to how directly and immediately we know certain things. The next striking debate was whether or not beliefs could be justified based on coherence alone. It is interesting to note that Catherine Elgin freely conceded this point. The gist is that we have many deliverances of our senses all competing for our brains attention in order to become beliefs. Over time we learn to sort them all into a coherent worldview. We also learn to privilege our beliefs based on perception, but Elgin stresses the point that this alone is not enough to be justified. Each perceptual belief may have a tiny bit of justification but it takes coherence to amplify it to the point that we are fully justified. I think Elgin does a good job of providing a sketch of what modern coherence theorists believe. It also shows how coherence theorists and foundationalists are moving towards each other. James Van Cleve's arguments against the coherence theory are strong. I'll pick out two. Elgin argues that people privilege beliefs based on perception because it leads to the most coherent system. But Van Cleve objects that this would be even more true of beliefs based on fantasy or delusion. That leads to the isolation objection but Van Cleve does not develop it. I think it deserves more discussion since Elgin did not properly forestall the rebuttal based on the isolation objection. Suppose you were walking down the street and saw a car. Are you justified in believing that there is a car? Elgin would say that you are because we privilege beliefs based on perception, and because it coheres with your worldview. It would contain beliefs such as cars travel down streets and so on. But consider the denial of 'there is not a car on the street'. That coheres just as well too (assuming the road doesn't get much traffic). Thus it should also be amplified by the rest of your worldview and be justified. Both beliefs are equally justified but only one can be true. A coherence theorists should be agnostic whenever they form isolated beliefs based on perception. The only escape that I can see takes you into foundationalism, which is to allow "unamplified" beliefs based on perception alone to be at least prima facie justified. The other objection I'll discuss is really clever. Coherence theorists say that P is justified because it coheres with the rest of their beliefs. Thus we can know that P is true. But can we "know that we know"? That would only be possible if we also had the belief Q which is 'P coheres with the rest of my beliefs'. But how do we "know that we know" that? The infinite regress is back on. Now, all this talk about "knowing that we know" leads to a debate more commonly seen with foundationalists, which is the internalism/externalism debate. Van Cleve shows that coherence theorists have to have this debate too. I suspect that most coherence theorists would be happy leaning on evolutionary naturalism for this just like they do for a priori beliefs, but it is an interesting twist. There were other interesting debates in the book, but I've already run on too long. Hopefully this discussion is enough to pique your interest because this book really held mine. This book will definitely give one a good idea as to what the current debates in contemporary analytic epistemology are. 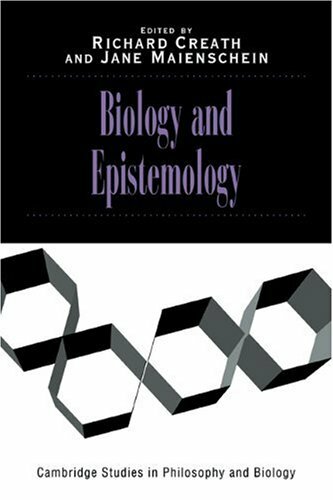 Basic introductions to the topics debated are not always given, so it might be best to pair this book with a text that provides basic information about the major topics and themes in epistemology. Some of the pairings in this book are fantastic (I particularly enjoyed BonJour and Devitt discussing a priori justificaiton). Others are less than ideal, but still interesting. The structure of the book: Two philosophers write on a common topic. Each will write an essay of around ten pages. Most of the time, the philosopher will address the essay to her or his opponent. In some cases, the two essays will be followed by one or more replies. Brilliant thinkers tinkering with thought. This book is loaded with erudite arguments that are best suited for upper-graduate, graduate and academics. "Contemporary Debates" is just that, various authors debating each other textually.The contemporary problems that the authors address are at the forefront of discussion in epistemology today, ie. a priori knowledge, theories of justification, etc. Those that specialize in the theory of knowledge, philosophy and epistemic justification will want this text.Those, such as myself, who study epistemology in relationship to theology will be disappointed.There is no consideration of how epistemology influences or affects contemporary theology.None.This is a short-coming that should have been included.